Plasma Detectors measuring trace impurities including hydrocarbons without FID. This Plasma Detector analyses H2, Ne, O2+Ar, N2, Kr, CH4, CO, CO2 and Xe in PPB level. 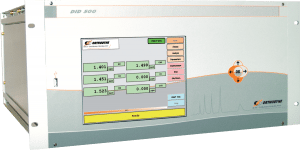 This Plasma Detector Gas Chromatograph analyses H2, O2, N2, CH4, CO, CO2 in Argon. Trace Nitrogen Analyser in Argon and Helium.